Robot Parts have started to become robot systems! 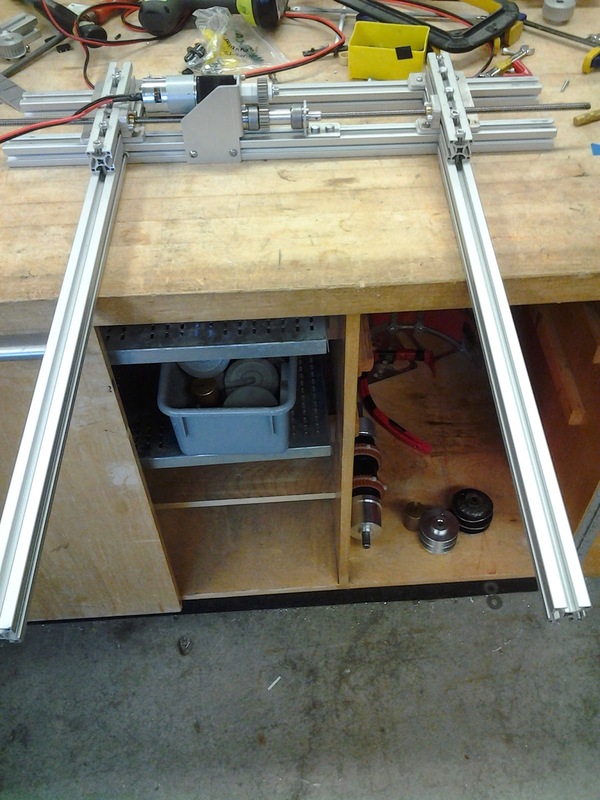 This is the gripper arm setup, it is fully machined, the gears work, and it moves in and out very quickly, all it is waiting for right now is the elevator system to be ready to mount on. 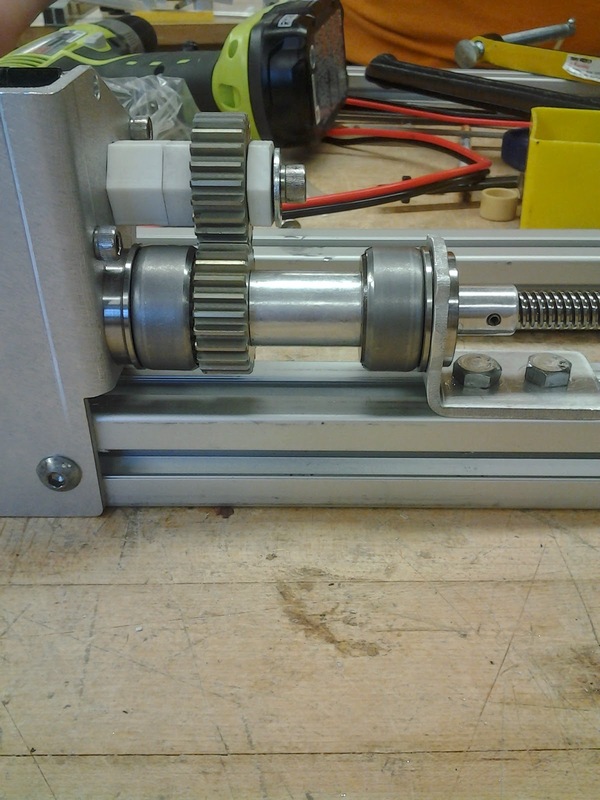 Another system starting to really come together is the roller intake. Those wheels on the front of the robot were a real pain today. It's not so clear from this photo, as we had cleaned up, but we probable tried about 20 different wheel and spring combinations today before we settled on those mechanums, which were the first ones to work. The 4-inch omni wheels we wanted to use were not big enough, and the rest were not grippy enough, so the mechanums somehow solved our problem of friction on the carpet. 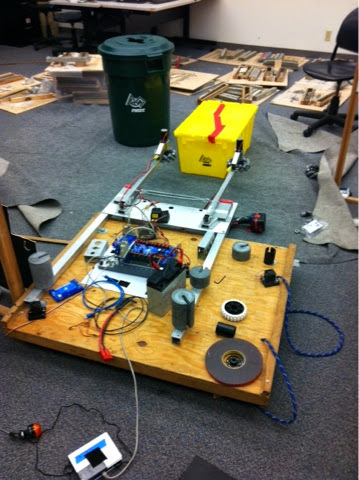 Luckily, due to extras ordered for this robot and mechanums from past robots, we have extras laying around to use here. 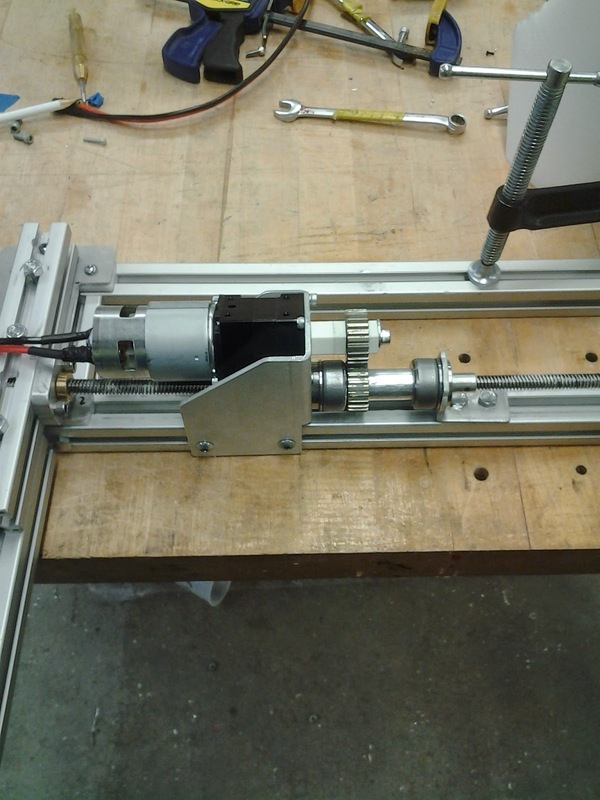 The elevator team is still fabricating parts, and the drive base tea assembled gearboxes.